Did you know that the National Fire Protection Association recorded more than 350,000 home fires across the United States in 2016? While it is natural for Wisconsin and Minnesota homeowners to protect against inclement weather, these numbers indicate that fire safety should be a top priority as well. As your trusted independent insurance agency, we want to help make sure you and your loved ones are always prepared for the unexpected. In addition to investing in a quality home insurance policy, we suggest following a few simple fire safety steps as well. Even the most experienced cooks can run into accidents in the kitchen, but if you aren’t careful, a simple slip-up can turn into a roaring fire in a matter of minutes. A good rule of thumb to follow in the kitchen is always to keep hand towels, paper towels and pot holders away from the stove top as you work. Additionally, if a grease fire breaks out, remember to either smother the flames or use a fire extinguisher. Candles are a great room accent that not only smell wonderful but create a welcoming atmosphere as well. However, candles must always be lit on a fire-safe surface or inside of an approved container. And while you may be tempted to slip out of the room while they are burning, lit candles should never be left unattended. Using portable space heaters during the cooler months is a great way to cut down on your energy use and lower your utility bills, but there are a few tricks to using them safely. Firstly, when you set up a space heater, remember to keep it well away from furniture and other flammable items. And remember, space heaters can easily tip over, so they should never be left running while you’re not in the room. While this may seem like a small little chore that shouldn’t result in a bigger issue, the combination of dryer lint and extreme temperatures are very dangerous. 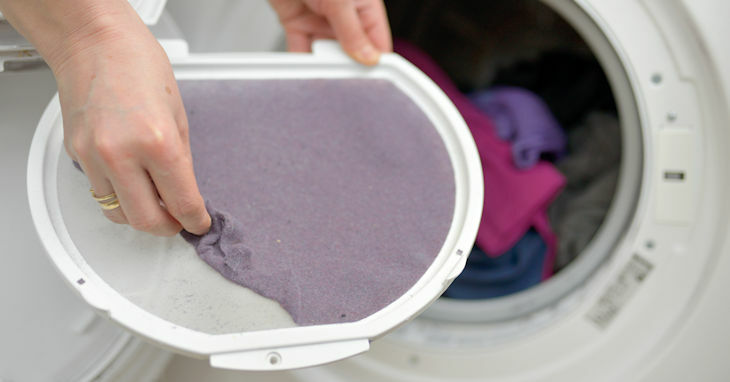 Dryer lint can easily ignite when heated by the running of the machine, so it is important to clean your dryer vents regularly. Do your best to clean them out after every load of laundry or at least once per week. Many different household cleaners are flammable, so they should always be stored away properly when not in use. In addition to keeping them away from children and animals, proper storage ensures that spills won’t happen. The same rules should apply to any paint, solvents, oils or other flammable items. When using large appliances, keep in mind that they should be plugged into outlets on their own to avoid an overload situation. Extension cords can be a life-saver when you’re in a pinch, but it’s important to remember that they are not meant to be used as a long-term electrical solution and should never be run under rugs or furniture. Once the spring weather hits, many Wisconsin and Minnesota residents are ready to break out their grills. But before you use yours, make sure to move it well away from your house or other outdoor structures. And don’t forget to clean the grill regularly, as grease can build up quickly and cause the grill to malfunction or lead to a grease fire. Interested in learning more about the benefits or total insurance protection? Visit the team at Noah Insurance Group online for more info and be sure to request a quote today!